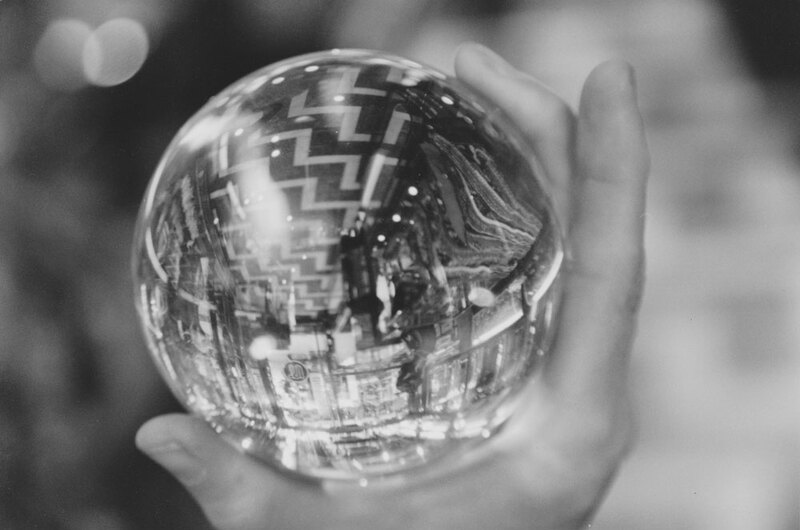 There are as many angles to a crystal ball as there are viewpoints and we all watch the miracle of existence unfold from our individual perspectives. Still, we remain unified at our core where the true perceiver dwells. I wrote this book for several reasons. Number one, I had to! It’s been stuck in my mind and it wanted to come out, like a baby already late for birth. Eventually, I had to sit down and make sense out of everything I had gathered during the last three decades I’d spent traveling around the world in my search for freedom. I grew up in a place where everyone was sheltered from anything that could wake us up, or help us realize what life is all about. As a child, I was already wondering how to fit into the constantly morphing picture of a vaguely materialistic world-view. Back then it was impossible for me to know that there are profound keys available that can transmit the cosmic principles that govern our world. Part of the reason I wrote this book was to process my past in a meditative and healing way. This brought up a lot of memories and I was ready to let them go to make my life public for one major reason. I want to help humanity become better in our approach to finding solutions, instead of getting stuck on problems. What I present in this book can be a game-changer when put into practice. Many of us scream for change, but we look on the outside for it, where we can get overwhelmed with so many possibilities and too much information. Overload! For most of us, life becomes increasingly complex and we don’t even know where to begin to change. The resulting confusion and lack of time leads us to often drop the ball before thoroughly investigating who we are, or what our actual goal and life purpose might be, although, we are all born wondering about that. I realized after my dangerous escape that physical freedom was not enough to be liberated from the paralyzing conditionings of the mind and the limiting constructs of Western society. I intuitively knew that there is more to life than we commonly perceive, or what we’re told and in this book that is a mixture of autobiographical content, exotic travel and shamanic stories, astral journeys, and philosophical views, I elucidate the natural progression of how I came to some unexpected, yet rational conclusions. My hope in presenting this crucial information, as an artistic and entertaining true and fun story, is that it will inspire other people too, but especially you, to take the leap. I know most human beings have the innate ability to bloom into the brilliance of a radiating true nature. Though, we do not become well when we are purposefully misguided and get increasingly addicted to the toxic stuff that bombards us from multiple angles in most metropolitan areas, on mental and physical levels. Material temptations bundled with a collective mass-confusion about the cosmic heritage and our earthly destiny is a recipe for disaster, especially at this time when it is clear to most people that living in this unsustainable way, in which humans exploit our host planet, cannot continue indefinitely. Change is certain, but how can we proactively initiate a peaceful change within us and radiate it all around us? You will discover specific secrets that point towards a way out of the maze when reading this extraordinary story. If you belong to the group of people interested in freeing yourself completely, of internal and external struggles, or you are an individual suffering from addiction issues, this book holds great value! As a medical professional, I bring quite a bit of knowledge into the area of drug abuse. 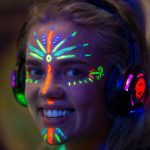 I dispensed pharmaceutical drugs job-wise and I have learned a lot about harm-reduction and treating heavy drug addictions that are on epidemical levels in most Western nations, with psychedelics! I suggest smart drug policy updates in this book and I introduce unique plans for preventing scheduled substance abuse while simultaneously advocating the legalization of mind-altering and sacred herbs, under controlled conditions, outside the pharmaceutical or religious framework. I clarify in simple terms for anyone, but especially those who should be all ears, even if they drink alcohol or smoke cigarettes, why what is considered normal or legal is not necessarily safe! I have had direct contact with ancient, indigenous medicine tribes that have used psychoactive plants and other stimuli ritualistically since immemorial times. The healing prayer-ceremonies in which the indigenous people utilize those psychotropic concoctions are an integral aspect and the foundation for their colorful and artistic lives. I self experimented with psychotropic drugs and plants, but I no longer use mind-altering substances and it’s been years since I have. 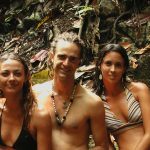 I share how non-ordinary experiences changed my life and what I learned through the conscious use of shamanistic herbs and sacred medicines. Additionally, I describe how we made activist films that helped to kick out the billion-dollar mining companies from Mexico that were in direct violation of the law. During this critical and dangerous mission, WWF protected natural zones were saved. I am honored to have been a crucial aspect of another important peaceful activist movement that turned into the biggest synchronized worldwide meditation in the Guinness Book of Records. The United Nations Human Rights Film Festival screened Liquid Crystal Vision, an Omananda film. The reasons for our filmmaking efforts are detailed from behind the scenes in one part of this book. Many hyperlinked videos are part of this story and you can access film-shots of transcribed interviews directly while reading. In the final chapter, I elucidate easy-to-practice, yet, powerful, non-religious, spiritual methods and exercises for personal transformation, with helpful hints and suggestions. 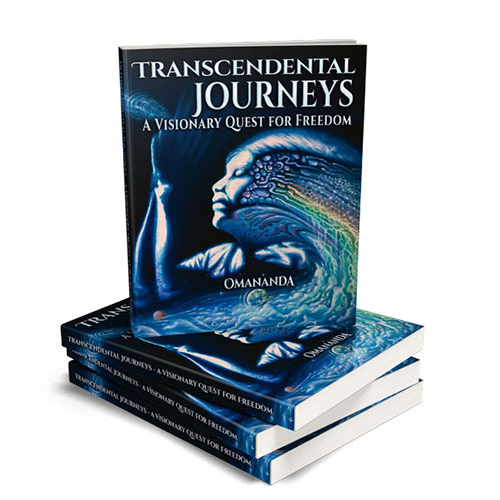 Everything in Transcendental Journeys remains authentic to the facts as I experienced them. Only the character names have been changed to protect the individuals’ privacy. A deeper reasoning builds throughout the story and the language changes from the beginning towards the end, which goes hand in hand with my own character development. The book starts with a somewhat ordinary and ignorant, although curious, perspective and it ends with, well, I leave that open for you to find out. Great! Thank you. I would love to read this book.